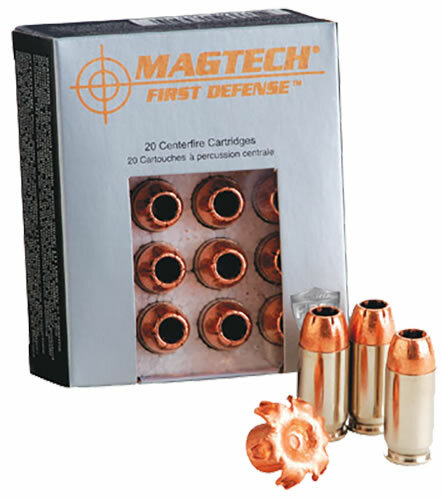 Magtech first defense rounds are designed with a 100% solid copper bullet, unlike traditional hollow points that contain a lead core covered by a copper jacket. Copper jackets could tear away when fired, causing a loss of weight and a corresponding loss of power. However, Magtech first defense solid copper bullets have no jacket to split or tear away, ensuring every round you fire meets its target with maximum impact and effectiveness.